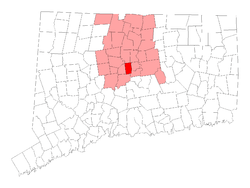 Home of the smallest natural waterfall in America, Newington, CT is located in Hartford County just 5 miles south of our office in West Hartford. CT Pediatric Dentistry is beloved by children across the state for our kid-friendly methods and our ability to show them that there's nothing to be afraid of when they visit the dentist's office. Our staff takes care to put them at ease during a time when anxiety can come on strong. You may have your own memories of being anxious about the dentist, but at CT Pediatric Dentistry, our dentists have years of additional training after dental college where they've learned the methods to specifically treat children. Kids and teenagers feel good about coming in, because we provide an environment where they can feel safe and comfortable. Our dental hygienists and assistants provide the reassurance a child can sometimes need when they have to come in for oral surgery, and regular check-ups are a breeze, because the attitude here is all about being easy-going and friendly towards children. Bring your child in from Newington, Connecticut to see our pediatric dentists for a pleasant experience where they'll receive the education and advice to help them make wise choices during childhood and into adult hood about what to eat and drink, and how often to brush and floss. 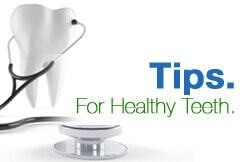 Taking good care of teeth is important for everybody, so nobody wants their child to fear going to the dentist. Your child will enjoy his or her time here, and that will lend itself to proper oral hygiene for years to come. We are a full-service dentistry office, whether it's restoration or extraction work needed, or something more cosmetic like braces or bonding a broken tooth, here are here to help. We also offer emergency dental service for those times when your child experiences an accident or unexpected intense pain in the tooth or jaw. A knocked out, broken, or abscessed tooth may need immediate medical attention, and one of our dental doctors is on-call and available to help 24/7. To use our after-hours emergency dental care hotline to contact a pediatric dentist for a qualifying circumstance, just call 860-523-4213. You can also call during regular business hours when you're ready to schedule an appointment for your child. We look forward to seeing you and your youngsters in our office soon.